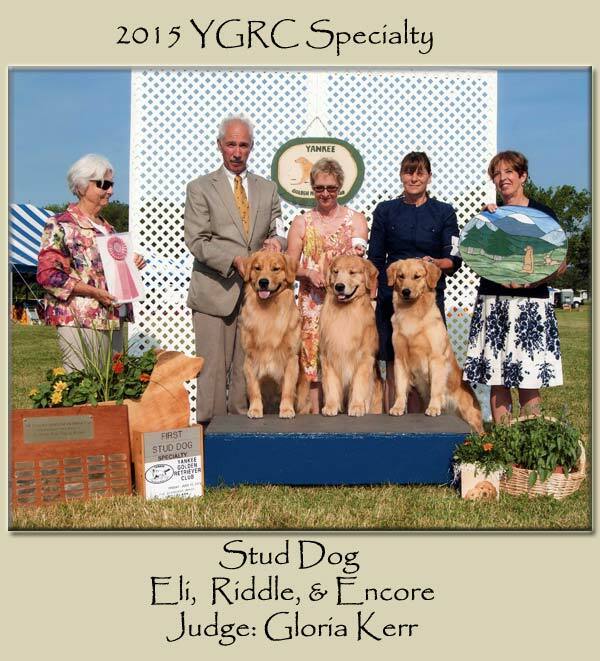 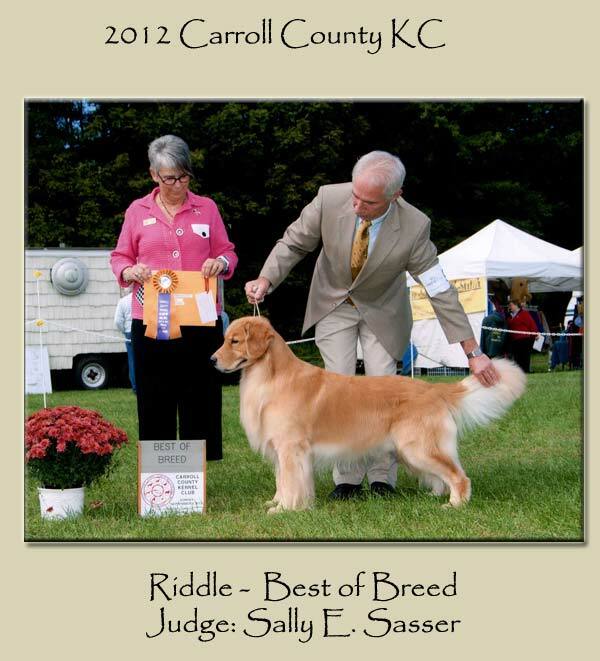 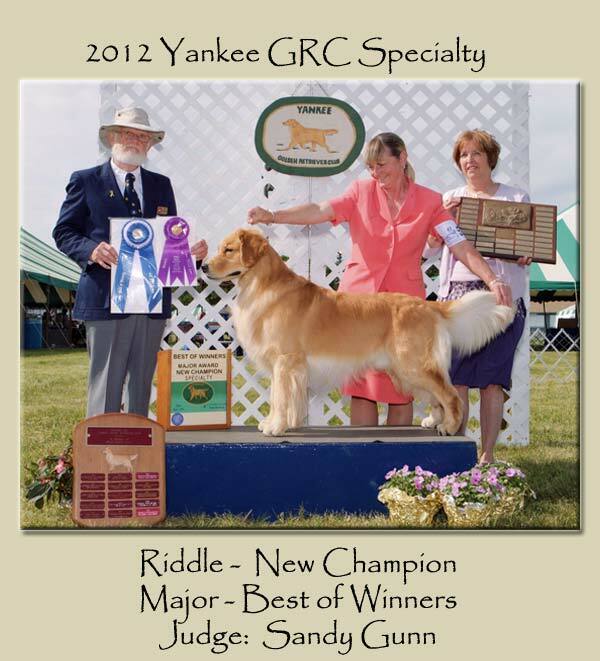 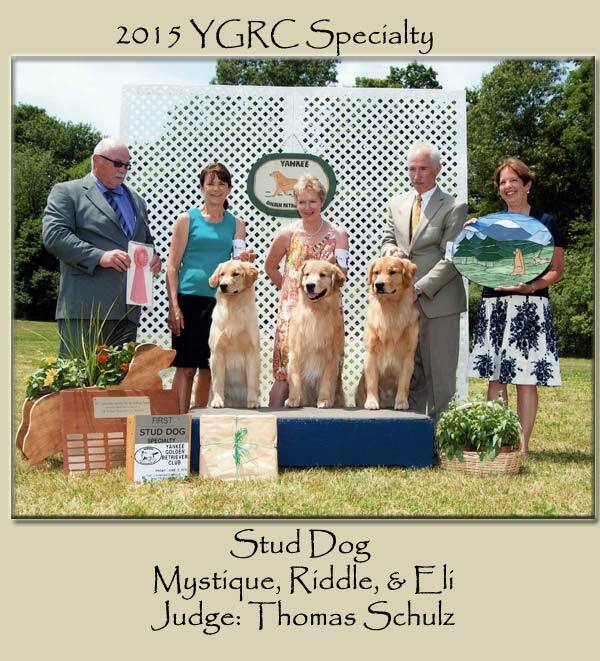 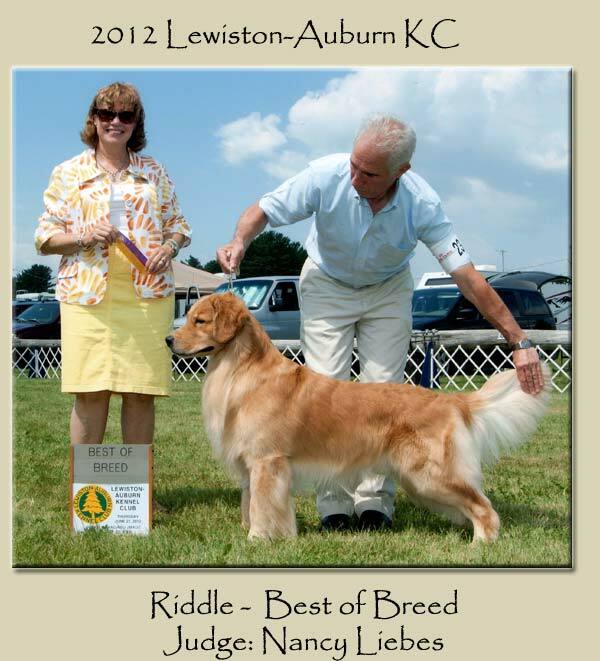 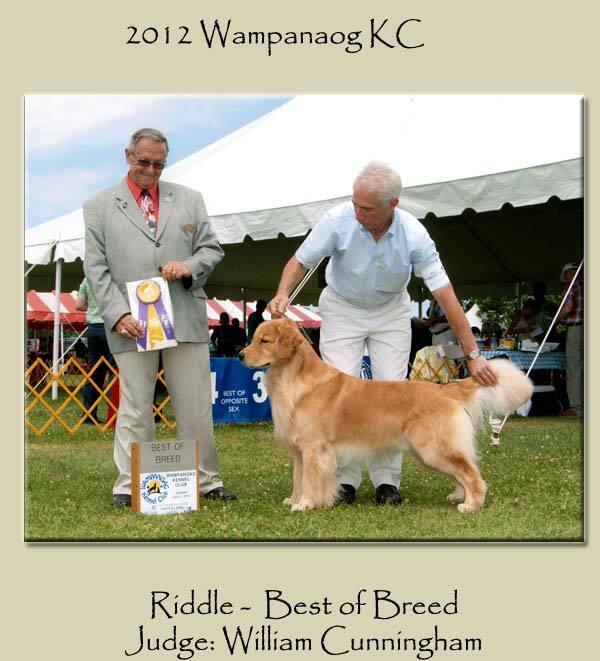 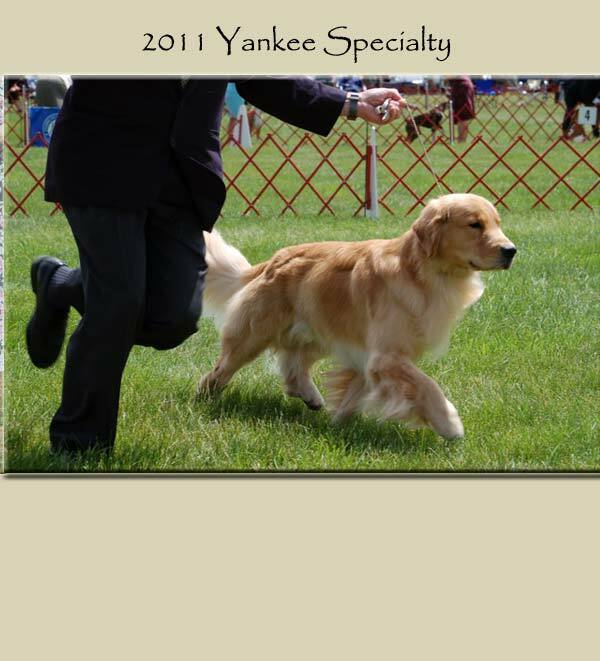 Riddle obtained his Canadian Championship finishing with a Group 3, finshed his AM Championship by going Best of Winners for a 5 major at the 2012 Yankee Golden Retriever Specialty and obtained his Grand Championship 3 months later owner handled. 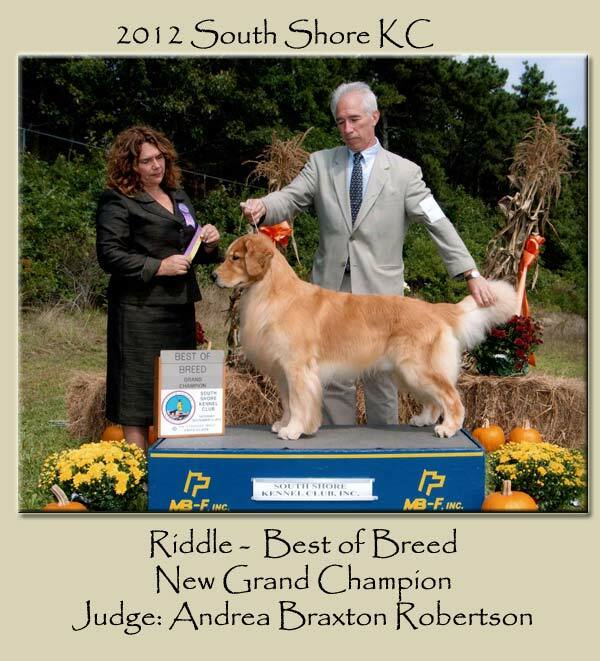 Riddle carries a lot of bone without being overdone. 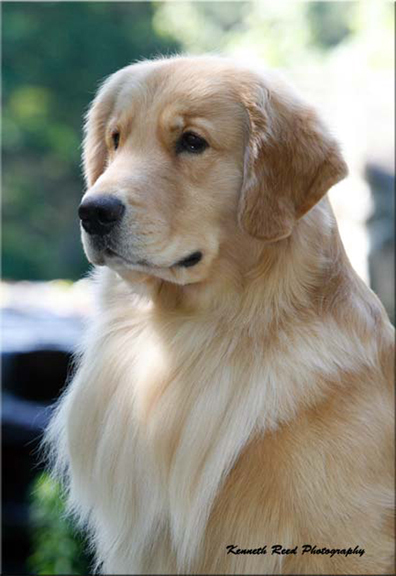 Both his front and rear assemblies are very well put together with nice length of leg, cat paw feet, nicely set-on tail, and length of neck. 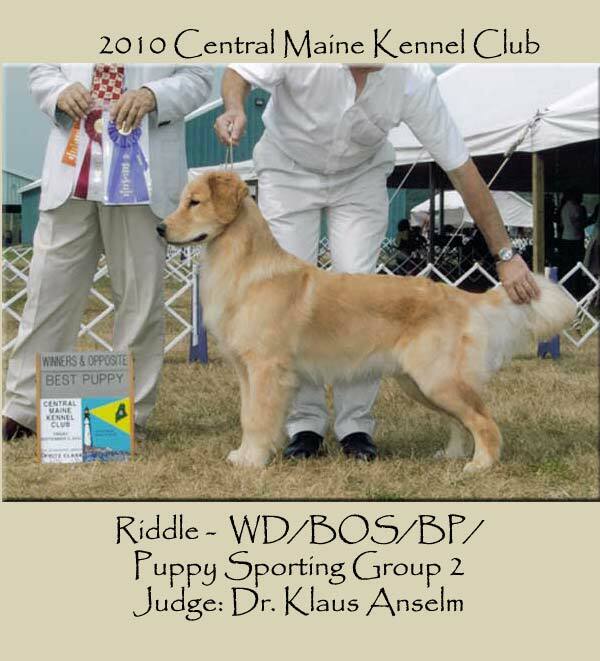 Riddle has nice black pigment, full and correct dentition, good dark eyes, good ear set, and overall pleasing head and expression and last but not least a wonderful temperament. 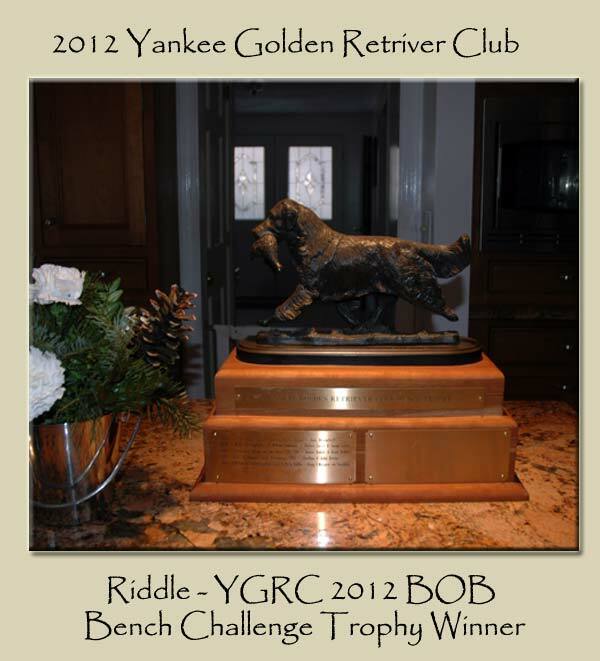 In 2013 Riddle was the recipient of the Yankee Golden Retriever Club Bench Trophy for most dogs defeated in the prior year.